Abstract: Compared with the traditional ways of travelling, E-bike is not just a new way instead of walking for everyone. Airwheel R6 and R8 electric moped bikes can help you solve the problem of traffic jams and will bring you a unique way to make sense of body riding. How do you think of the fashionable Airwheel bicycles nowadays? Compared with the traditional ways of travelling, do you think it is just a new way instead of walking? As the proverb says, "all roads leading to Rome". So do you think that you just have to choose your own preferences? In fact, whether using the smart bicycles is very different to your life. Airwheel R6 and R8 hybrid bikes will tell you why. The reasons are as follows. First of all, most people know how serious the traffic jam nowadays is. Did you have some experiences like that? In terms of large cars, the roads were squeezed by them. And sometimes they even let us can't do anything. But in terms of Airwheel smart small car, it is not a big problem. Moreover, compared with the ordinary bicycles, Airwheel folding electric bike R6 and R8 electric mountain bike use electric energy. And it can achieve a more effortless way of traveling, so it is popular among the general public. Secondly, it is very difficult to find a parking space sometimes. On the contrary, for ordinary bicycles and cars, it is also possible to lack of standardized parking places. Unlike them, Airwheel R6 can be folded and carried portably. After folding, you can get in and out of the bus or the subway expediently. Though R8 cannot be folded, it has the excellent traffic ability allowing you to release pressure outdoors on weekends. 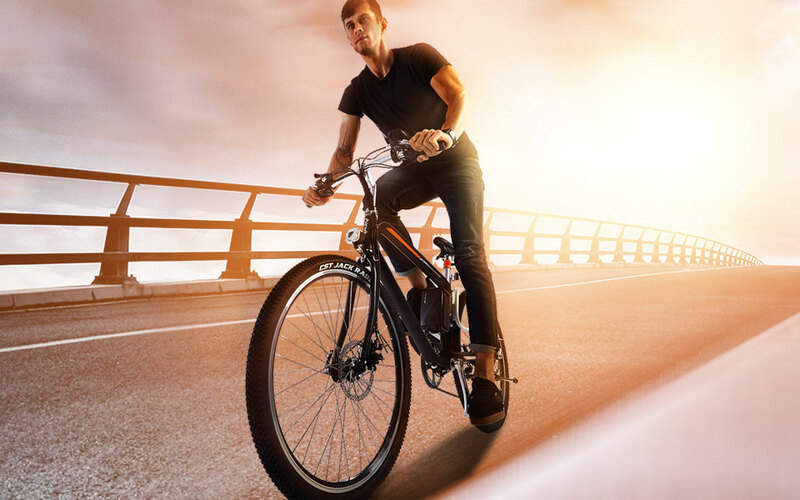 What's more, Airwheel bicycles will bring you a unique way to make sense of body riding which can let the riders experience differences from usual ridingl. For example, Airwheel electric assist bikes R6 and R8 have different patterns which have their own advantages for users and you can choose the most appropriate one according to different travel situations. It means that you can make your riding time more interesting and feel relaxed.